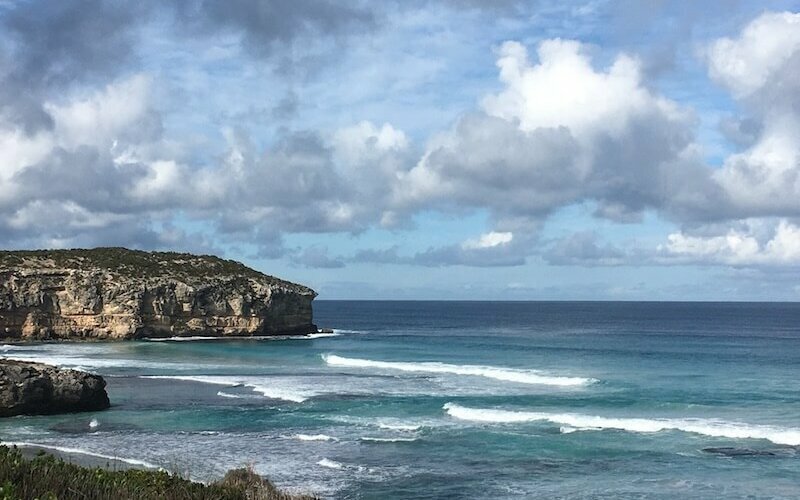 The Unforgettable Kangaroo Island. A Must For Your Living List. The Unforgettable Kangaroo Island. A Must For Your Australian Itinerary. 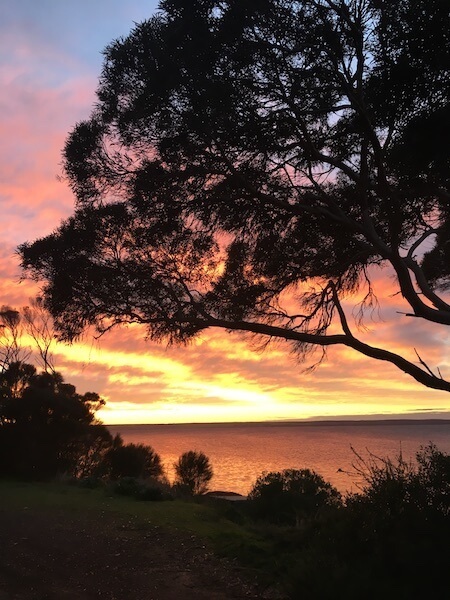 To say Kangaroo Island is exceptional would be an understatement. 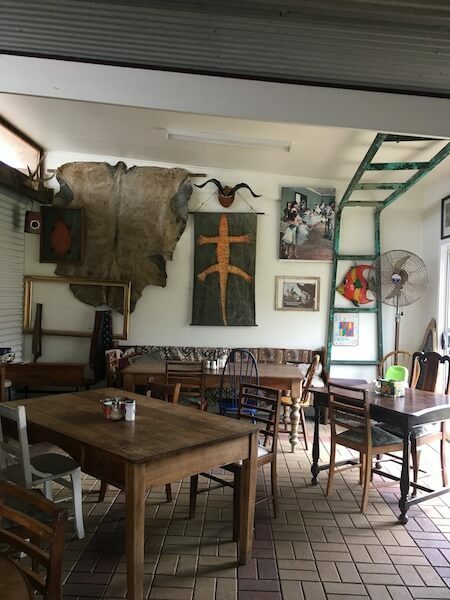 It’s one of Australia’s hidden gems, although it is gaining a lot more notoriety due to their award-winning restaurants, lodges and produce. We had Kangaroo Island on our ‘must do’ list, or what we call our “Living List”, so some time. 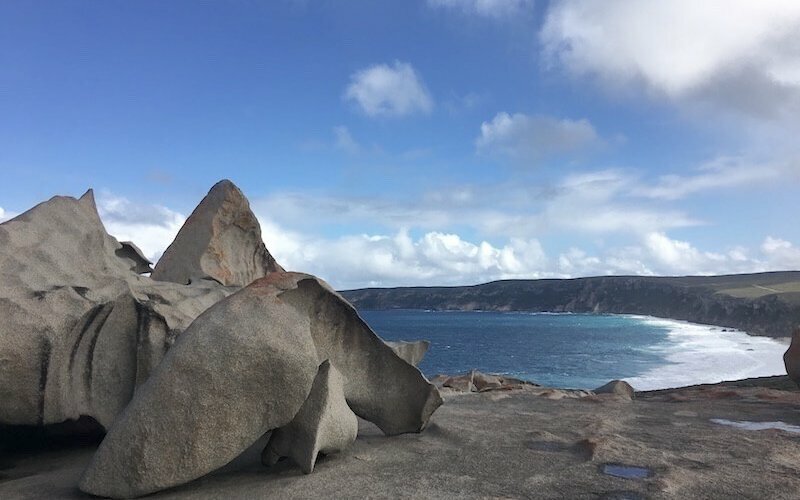 This is a list that we continue to add to, but Kangaroo Island was one place we knew would be part of our 10-month Australian Road Trip since the trip’s inception. Thanks to the sponsorship from SeaLink Kangaroo Island, we were able to save some coin in getting to the island. It’s a known fact that many from within South Australia have never travelled to the island because it is cost prohibitive to take the ferry. Even without the sponsorship, we would have spent the money to go to Kangaroo Island. It’s worth every penny. You’ll be blown away at how amazing it is. This is a sponsored post (on our own initiative) and has affiliate links embedded. Please note that we do not promote any brand we have not used or experienced for ourselves. All opinions are honest and of our own recollection. Please follow our advice at your own risk. We thank Sealink Kangaroo Island and Kangaroo Island Lodge for their gracious hospitality. Flinders Chase National is a 90 minute drive from Penneshaw, where the Sealink ferry delivers you to the island. 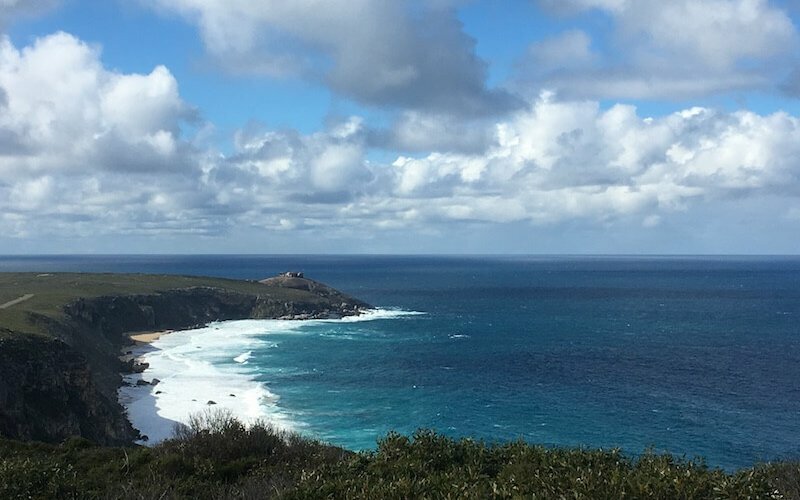 We’d recommend staying on the northern side of the island (and we’ll get to that shortly), so taking a trip to Flinders Chase would be a full day’s trip, because there is so much to see and do. Yes, you need to pay an entry fee ($22 per adult at time of publication – August 2017 – which allows for two consecutive days in the park). It’s worth the price of admission, believe me. The Remarkable Rocks sit on Kirkpatrick Point. It was named after an 1899 shipwreck survivor and the term is from an original chart that described some “remarkable rocks”. 500 million years of rain, wind, and incessant waves created these granite boulders. Their size and stature truly are remarkable. The rocks sit on a massive granite crest which slide steeply into the ocean, so serious caution is advised, as waves can unexpectedly lash onto the rocks, taking visitors unexpectedly. There are no fences, only signs of warning. Natural wear on the rocks is evident when you take note of the photos from the mid 1800s at the entrance, in particular of the overhanging boulder photo. There is a designated parking lot at Remarkable Rocks and from there, you can follow either a track or boardwalk to the boulders. You can explore the rock formations up close and it is wheelchair accessible – to a point. Be careful, it can be slippery when the boulders are wet. It is also very steep in some places and posted signs are for good reason. A firm hand on little ones is a must. The views are spectacular of the coastline from on top of the rocks (and from the road heading to Remarkable Rocks). 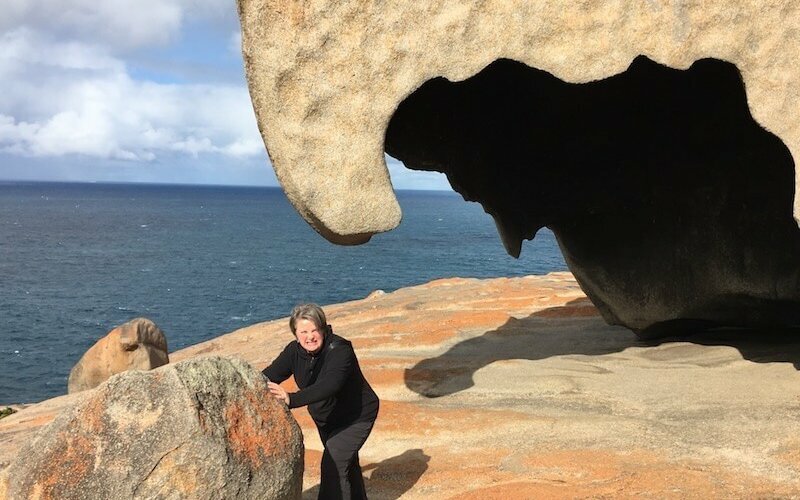 I can move the Remarkable Rocks! This was the one place that you’ll lose yourself for a while. What seems like a simple boardwalk heading down toward the water, it gets interesting starting at the coastline. It’s so raw, so rugged, so immensely intense, that it will take your breath away. Keep walking along the boardwalk and stop where the steps descend. Look at the rocks for a minute or two and you may see the rocks moving… Okay, not the rocks, but a vast New Zealand Fur Seal colony. If you continue, you will see more… before you get to Admirals Arch. Admirals Arch is commanding. The arch itself has not stalactites hanging from the ceiling of the arch but fossilized tree roots. It’s quite fascinating when you think of it. The fur seals will capture your attention away from the Arch in no time. They are cute. They are playful and they are entertaining. We stayed for over an hour, just watching these lovely creatures interact with each other. They seemingly posed for pictures, they tussled with each other in the water before doing somersaults and flips in the waves, before trying to find a safe way back to shore against the intense tide. Based on the recommendation of the Ranger at the Visitor’s Centre, we ventured off to Weirs Cove. This was a fascinating stop where you learned a lot about early life at the Lighthouse Station. Weirs Cove is where fresh supplies were delivered by ship and hauled up the cliff-face for the Lighthouse Keepers and their families. Prior to 1907 the building materials for the lighthouse and the supplies were brought in by steamship, transferred to small boats and then landed at the base of the cliffs, before the goods were carried up the 90-metre steep cliff. In 1907 a jetty and flying fox were constructed to winch goods up the cliff. At the top of the cliffs a stone building with compartments for each family kept food cooler. You can see the division of the store rooms in the building today. You also get a great view of the coastline from this vantage point. 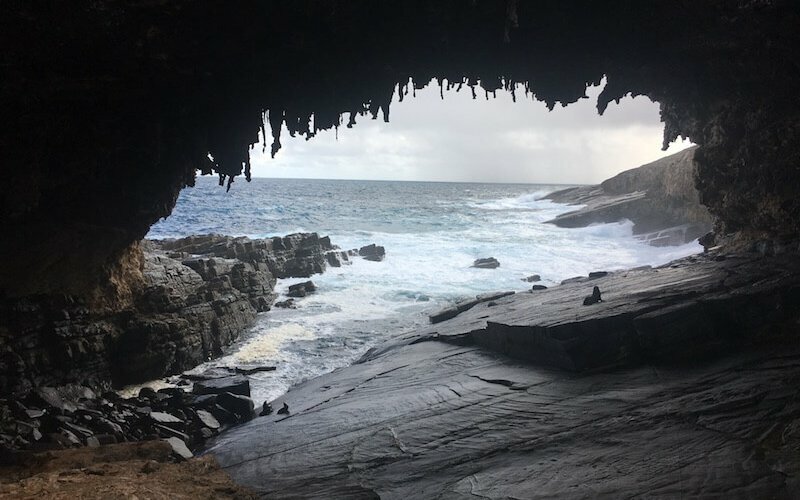 With only three days on the island, we were not able to take advantage of the bushwalking/hiking on the island, but we did one recommendations from a couple of the locals: The Rocky River Hike in Flinders Chase National Park. 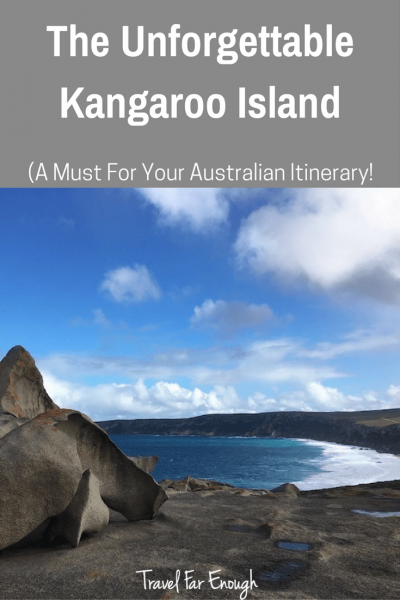 If you’re on Kangaroo Island for more than three days, definitely check this out. In warm weather this would be an amazing place to fish, to swim, or go follicking for shells. It’s a peaceful spot off the main road. There’s a jetty that is used by locals for fishing, but the interesting part of us was up toward the headland. In whale season, it’s fun to scout of whales here. Off the right, before reaching the headland is a series of rock pools and small caves. I love rock pools and watching the tide come and go, to see what creatures remain. It’s a lovely spot for a picnic too. There’s a lot to know about Cape Willoughby! 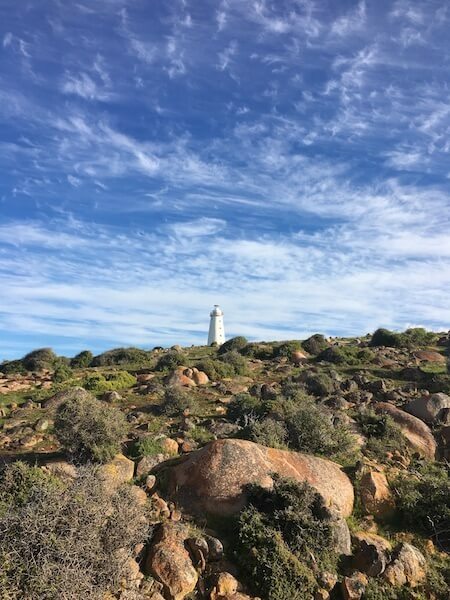 Cape Willoughby Lighthouse was built to assist the safe journey of ships passing through the treacherous stretch of water known as Backstairs Passage during a time of rapidly expanding coastal shipping trade between the eastern colonies and the colony of South Australia. The lighthouse was originally known as the Sturt Light after the explorer Captain Charles Sturt. The tower took over two years to construct and the workers lived in tents during this time. 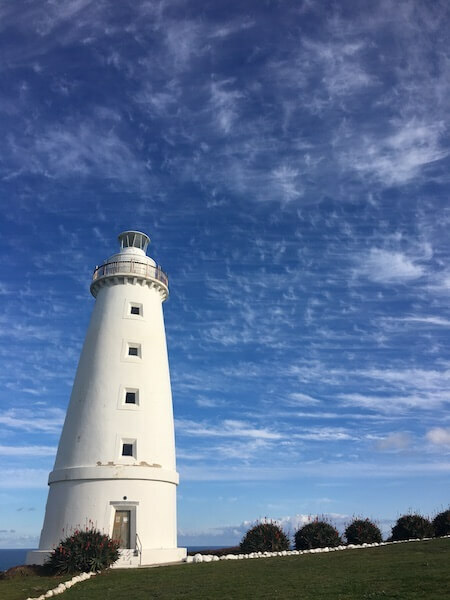 South Australia’s first lighthouse was officially opened in January 1852, and manned 24 hours a day by 3 lightkeepers who lived here with their families. If you want whale watching on Kangaroo Island, Cape Willoughby is a great place for it. Off season, the place seems deserted. We were there for two hours and saw one gentleman on his way out. This is a ‘end of the earth’ kind of place. It feels so remote, yet you can see the mainland from the headland. Crazy. We found a trail off to the left of the Lighthouse, passing some Kangaroo Island Tammar Wallabies grazing on the grass. We sat for what seemed like minutes before we saw two whales in the distance. Within 30 minutes, we were watching them slam their tails on the water’s surface, the sound reverberating through the air sounding similar to a car door slamming. As we were leaving, reluctantly, we saw them wave their flippers in the air as if they were saying goodbye. There’s a café at the Cape, but in off-season it was closed. It would be the perfect spot to enjoy lunch or even a coffee. Bales Beach was a local tip, given to us when we spoke of Seal Bay. Seal is the route you need to take to get to Bales Beach. 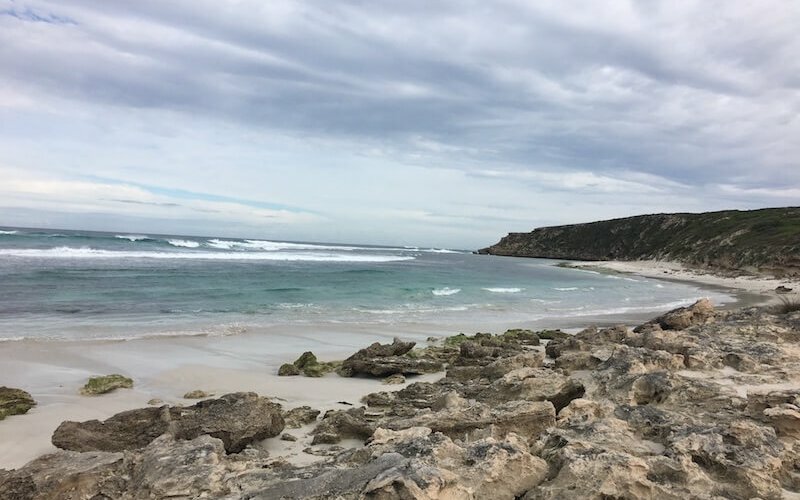 Bales Beach is an aquatic reserve, a marine protected area on the south coast of Kangaroo Island. It’s about 40 minutes from Kingscote. At the picnic area stands an old stone cottage, now in ruins (we call it a fixer-upper). It was built by Alfred Bales, a wallaby trapper, who lived there from the early 1900s to 1924. If you don’t want to pay the entry fee of Seal Bay, Bales Beach is the place to see sea lions. Seal Bay is misnamed, in our opinion, as there are sea lions here, not seals. I thought Bales Beach would be an overlook, to see the sea lions from a distance, but you can venture down on to the beach. Before we reached the beach though, we scoured it for seal lions, not wanting to go on to the beach if sea lions were present. The beach was deserted, so we walked down on to the sand and over to the rocky outcrop and looked out. Sure enough, there were two sea lions in the water. One was lounging on his back, basking in the sunlight. The second began frolicking as soon as we arrived, surfing the waves and when it reached the clear smooth, shallower water, it began jumping in and out of water. It we were given our own private performance by this sea lion. I couldn’t even think to get my camera out – it started before I had a chance and I was so captivated by what was before me that I just stood, slacked jawed, watching this incredible scene before me. If you want to imagine what life would be living off the grid on an island, with your own private beach, this is the spot. Clear water. White sand beach you can wander without being disturbed by another being. Truly paradise. I’m told is popular with experience surfers which, for me, just adds to the allure. I don’t know what it was about this spot, but I found my shoulders completely drop and my breath draw more deeply. American River is located about 45 minutes from Penneshaw, where the Sealink ferry port on Kangaroo Island. It is not at all a river, but a cove. The area now known as American River was first visited by Europeans in 1802 when Matthew Flinders landed to survey this part of Kangaroo Island. In 1803, a group of American sealers camped for four months in the area. They arrived on the brig, Union and built their own 35-ton schooner Independence from local timber. The town takes its name from this time. Frank Potts was the first official settler in 1842, before moving to the mainland and establishing the Bleasdale vineyard and winery (one of our longtime favourite wines by the way), at Langhorne Creek in South Australia. John Buick, a professional boat builder, built the first house in the town in 1844. It was fashioned out of local stone, pug and sput timber and remained standing until 1985. 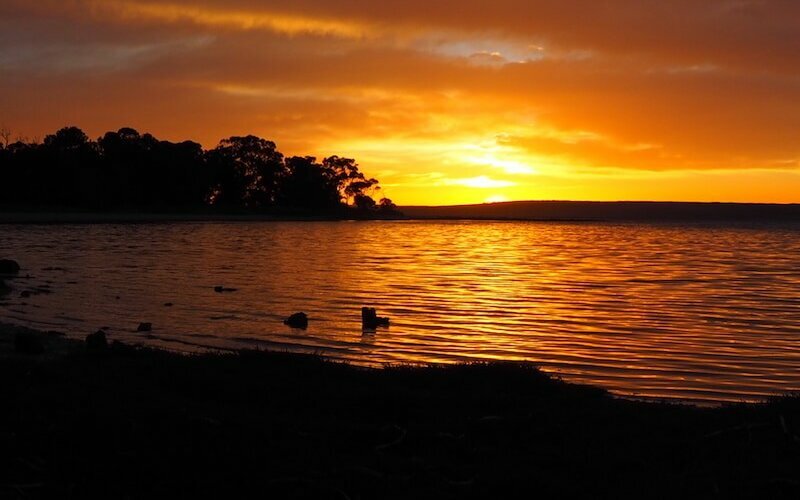 The establishment of guest houses at American River in the early part of the last century were the forerunner of today’s tourism industry on Kangaroo Island. Ryberg, Lierich, and Linnett, are names synonymous with the development of tourism at American River. Nils Ryberg, a Swedish born immigrant, settled at American River in 1884, and ten years later built the original “Ryberg House” on the site of the present Kangaroo Island Lodge, exclusively for tourist accommodation. Ryberg added to the building over several years, before selling to John and Valerie Linnett in 1913. Ryberg House was completely rebuilt in 1928, and remains today. Fishing trips were an integral part of the business, which operated until 1985. American River is the place we based ourselves for three amazing days on Kangaroo Island. We were fortunate to be partially sponsored by the Mercure Kangaroo Island Lodge, on our own initiative. It was probably one of the best places we could have stayed because it was quiet yet accessible to everything. In fact, I would be remiss if I didn’t admit that this was one of the best hotel stays I’ve ever had (and you know I’ve travelled quite a bit and stayed in everything from basic to five star resorts). You can read more on “Accommodation Recommendation” further down. Originally named Maxwell until 1941, Emu Bay is located on the northwest side of the island, about 13 kilometres from Kingscote. It boasts one of the safest beaches, as it’s easy to get in and out of the clear water. In winter at low tide, you can see the piles of seaweed and can indeed walk on the cushy, squishy mass. It’s a feeling like no other. The town has no shops or mains water supply. 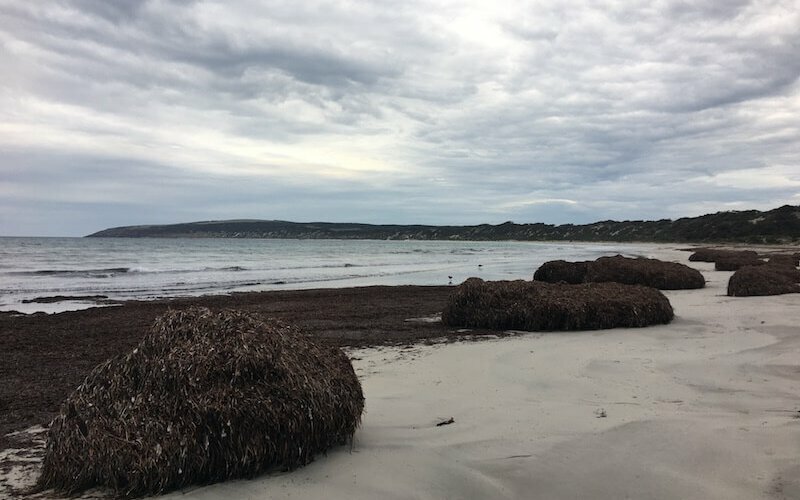 Emu Bay is one of few beaches on Kangaroo Island where vehicles are permitted. There are pelicans that reside here and fish from the tides. It’s fascinating to watch! As I mentioned, we were partially sponsored by Kangaroo Island Lodge. Full disclosure. However, it on our initiative after doing some research about where to stay, weighing all pros/cons. And yet, like everything in this post, we offer only our true opinion of the stay. 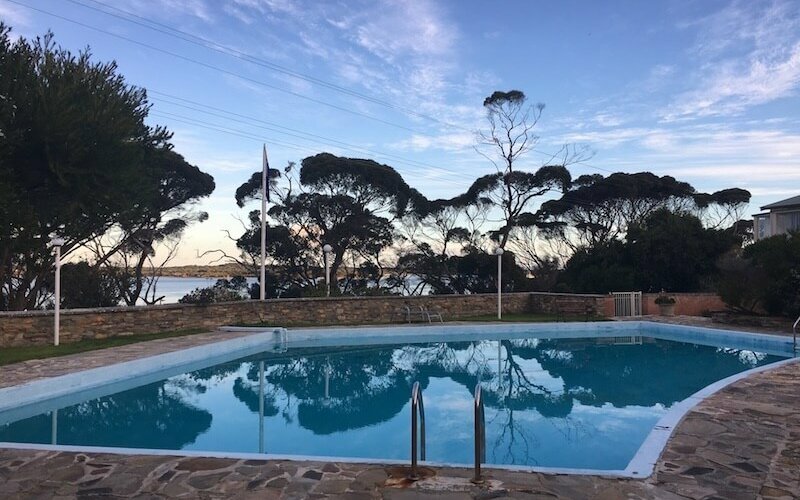 We’ve stayed in a lot of places over the years but Kangaroo Island Lodge is now one of our favourite places and an experience we will remember for a very long time. What makes Kangaroo Island Lodge exceptional is the level of customer service. The staff go above and beyond to help you, to serve you, to provide you with that amazing experience. And they deliver every time. And if you want to be left alone, they’re happy to do that too. From being greeted in the hotel reception to being served at dinner (who, it works out, is the same staff), you get amazing, personable, friendly staff. Nothing is a bother. We stayed in room 35 which overlooked the sea. Waking up to the beautiful sunrises each morning was definitely a beautiful way to start the day. We could even see the pelicans from our room window! We asked about the pelican feeding that they mentioned on their website. They use the offcuts from the restaurant for the feedings, but they don’t do pelican feedings unless you ask. They don’t want the pelicans to get lazy or expect it. Smart, resourceful and they seem to think about the big picture with every task. The room was spacious, the bed was very comfortable and with the added bonus of the kitchenette, it offered the option to eat in if we wished to. We bought some goodies from the food outlets on island (honey from Cliffords, yoghurt from the Pure Island) and had breakfast in our room, with the coffee (pod maker) provided. I can’t say enough about our experience. It feels like you have it to yourself during the off season…at least until you see other people coming and going in the restaurant or see cars in the parking lot. Kangaroo Island Lodge, we felt, was the perfect base to explore the island. Everything was in easy driving distance and when you’re done exploring for the day, you can end it with an amazing meal you don’t have to cook yourself, a glass of island wine, and a quiet spot to rest. Our Tip? Ask for a sea view room. You won’t be disappointed. We planned on only eating in this restaurant at the KI Lodge but ended up going back. The food was amazing – award winning in fact – and we ordered something different each time we dined. We recommend everything but specifically the cauliflower soup (if it’s available) and the KI Spirit Walnut and Honey Parfait. It was incredible. The local house wines on offer are from wineries on Kangaroo Island, so you get the whole island experience. You can’t go wrong dining here. Chef Roberto delivers exceptional meals with everything he makes (I only know his name because I asked and he came out and asked me if the parfait was to my liking, since I’d asked about it when making our booking). Seriously, the parfait was beyond words. We’re STILL talking about it. So, SO good. I will also say this: I hate cauliflower but I tasted my husband’s soup and I groaned out loud. It was amazing. The local house wines are from the wineries around the island and are very, very good as well. The local’s kept recommending this place. We had four people tell us about it and when they mentioned the pizza, their faces melted in delight. Then they recommended the cheesecake. It’s probably one of my favourite experiences of KI. This place is funky. Eclectic. It’s even located out the back of a trucking company. Walk inside and you’re treated like a local, which we loved. We ordered coffee while we waited for the pizza (yum) and when the pizza came, it was everything the local’s claimed it to be. The cheesecake was truly unique with a nut base but wow. I’m going to try and make a base like that and see if can replicate it. I probably won’t be able to it was so good! We could have spent hours at the Frog and Roses. It was that kind of place. A place to hang out, chat with friends, read a book, or simply take in the artwork and memorabilia around the seating area. We LOVED this place. Despite it being a Sheep Dairy Farm, there is a café attached that has varied options than the normal ‘burger’, ‘fish and chip’ fare. While we didn’t eat there, only because we were heading to the ferry after our quick trip in to pick up other goodies, we definitely would have. What we did have were samples of the offerings at KI Island Pure. Yoghurts, cheeses and sausage. We left with a small haul of yummy things we’d sampled. We recommend the Cygnet cheese which is semi-matured manchego cheese along with the Le Casuarinas, or feta. 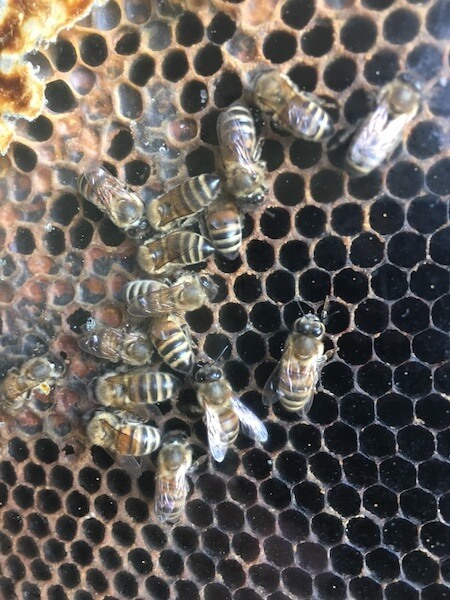 Kangaroo Island is the world’s oldest bee sanctuary and is the only pure strain of Ligurian Bee in the world. Even the Ligurian bees in Italy cannot claim that anymore. Mainland bees cannot reach the island, due to the distance coast to coast, which allows the KI honey to stay pure. To ensure its purity, any bee products, including honey, is restricted from Kangaroo Island altogether. While Clifford’s Honey Farm is one of many honey producers on Kangaroo Island, they have a honey shop that allows visitors to buy direct. 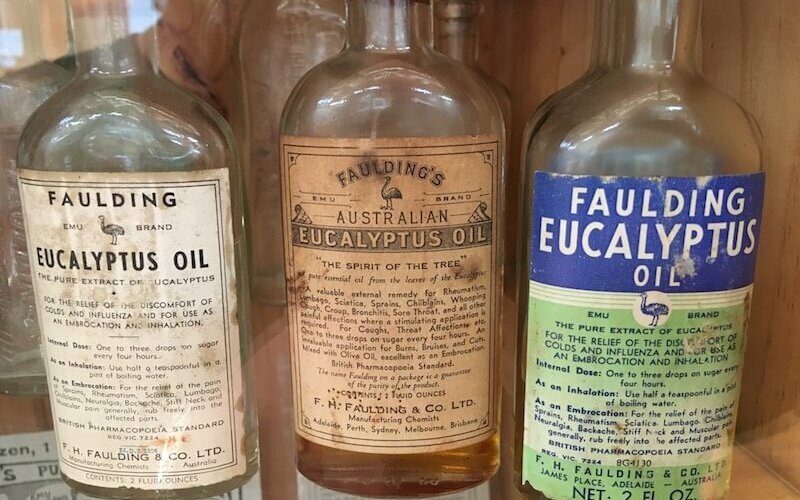 At Emu Ridge, they still harvest Narrow Leaf Mallee Eucalyptus shrubs to make eucalyptus oil products, similarly to how it was originally harvested back in the 1880s. The only difference is the tools they use to distil the product. The process remains the same. Unless you’re visiting during harvest season, you can see the process via videos in their museum area. It’s really interesting to watch. Emu Ridge offer many products for sale, walking you through what the benefits are for each product they produce. The hand cream is amazing and of course, Eucalyptus oil have so many benefits that it’s a must pick up. 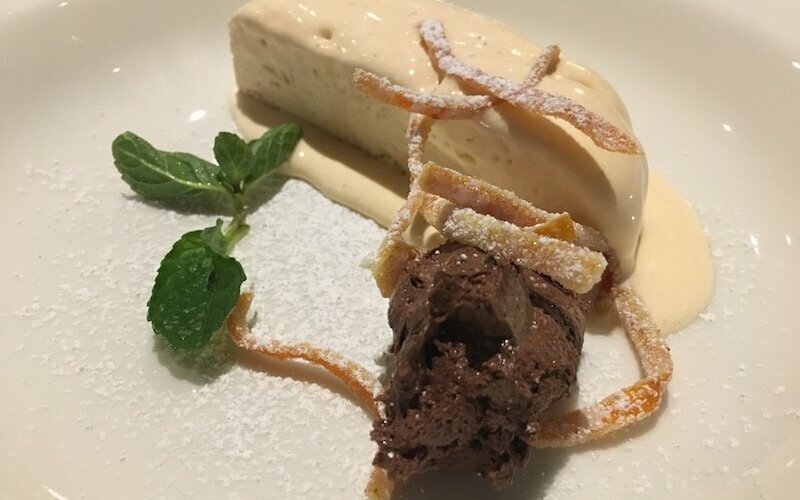 Remember that parfait I mentioned at Reflections, noted in the Restaurant Recommendations section? You can pick up the liqueur here at the KI spirits. After a sip, my mind in all kinds of directions of how to use it in cooking. It tasted amazing but I’m not a liqueur drinker generally. When we talked KI Spirits about the process to make the liqueur, we learned about how the walnuts were harvested then soaked, where they then use the resulting liquid for the liqueur. They then sell the marinated walnuts. All I could think was how amazing they would be in brownies. So, yep, picked up a small (but not so cheap) bottle of the liqueur and a bag of the walnuts. Despite other roads taking you to must-visit places, like the Eucalyptus Distillery and Island Pure (the primary sheep dairy) are unsealed, they are drivable in most vehicles. I think the only challenge we had on the Kangaroo Island, with our 2012 Ford Kuga was driving out to Cape Willoughby, but that was minor corrugation and still completely doable. Heed warning though when it’s wet and if the road states 4WD specifically, don’t even try it unless you’re driving one. You can take your car, even your caravan or trailer, to Kangaroo Island. When you book your journey with Sealink – and you must book ahead – you will select the number of passengers and type of car you have. When you check-in, 30 minutes ahead of your departure time, any passengers in the vehicle must walk on to the ferry, with the driver only left in the car to board the ferry. The driver must then follow the instructions of the crew to drive on and park the car (and trailer/caravan) before joining their passengers in the lounge. 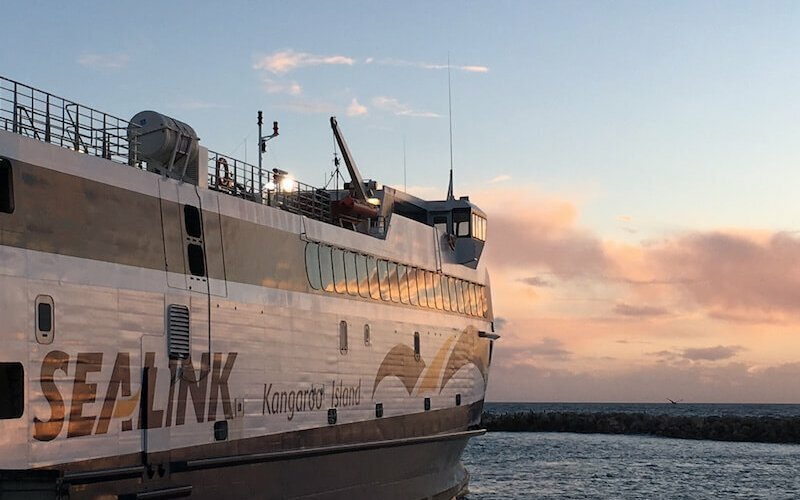 It is a 45 minute sailing time to and from Kangaroo Island. An announcement will alert the driver to return to your car, prior to arrival and the process repeats itself in reverse. Make up a picnic lunch before heading out each day, especially in the offseason. Many of the restaurants and cafés are closed for the season. You can pick up goodies off island before you arrive (Adelaide Central Market is great for picnic goodies) or in the Adelaide hills if travelling from Victoria. If you need picnic items on Kangaroo Island, Kingscote have a great Foodland which many options. You can also pick up some items around the island, such as at KI Pure. There’s many spots on the island to set up a picnic. Just remember to take out whatever you take in. And please, don’t feed the wildlife! When driving to Kangaroo Island, you cannot take honey or any honey products on to the island. This is to preserve the bee colony on the island that has remained pure since they were introduced. If you wish to buy honey on the island and take it back to the mainland, that’s perfectly okay. HOWEVER, if you are driving to interstate after your visit, you cannot take honey products over the border. That includes honey, beeswax, etc. Here’s a handy website that can help understand what you can and can’t take interstate per quarantine guidelines. Like what you’ve read? Go ahead and share it! NOTE: Affiliate links were used in this post. We do not promote any brand we have not used or experienced for ourselves. All opinions are our own. Please follow our advice at your own risk. By clicking these links helps support the Travel Far Enough website as we get a small payout from links, when you purchase from them. For that, we thank you.